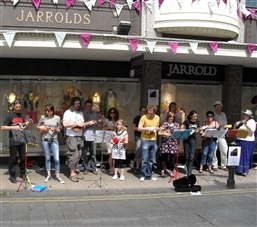 The Norwich Ukulele Society has been going since February 2010, when Amy Wragg, (local promoter and music lover) and Gemma Cullingford were united for their passion in ukuleles. We had our first meet in February 2010 and since Jan 2011 we've met every other Sunday upstairs at the York Tavern, Leicester Street, Norwich. We can sometimes be spotted busking in the streets of Norwich for charity. This year we are supporting Musical Keys charity, who use the ukulele amongst other instruments, to help children with special needs learn about social skills. Our next meeting is Sunday 6th April 2015, 6-8pm at the York Tavern. 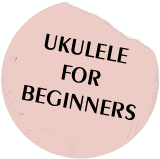 Meetings are free of charge and we play songs from the Norwich Ukulele Society Big Book as well as new songs that will have been sent out in advance of the meetings. You will need to sign up to the mailing list to receive them – email norwichukulelesociety@gmail.com and to be added to the list. You can also join our facebook group where you can be invited to upcoming events. You do not have to be a brilliant ukulele player, nor a great singer to attend and you will not be judged. 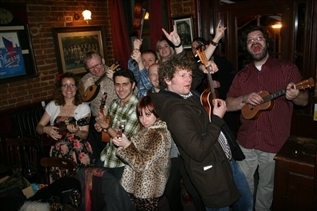 Norwich Ukulele Society pride itself on it’s inclusivity. We do not try to be something we are not. We do not claim to be virtuosos. The aim is just to have fun!